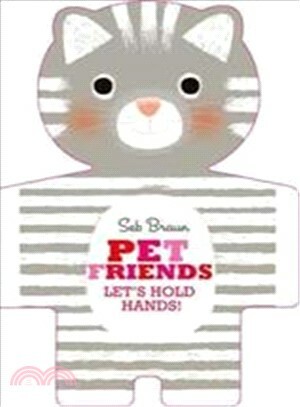 A gorgeous shaped board book, packed full of beautiful, bright pet friends to meet and love. There's a fluffy hamster, a sleepy tortoise and a colourful budgie plus many more. With velvety flocking on every page, this book is very cute and very cuddly! Sebastien Braun was born and brought up in France, and attended Strasbourg University where he studied applied art. Initially an art teacher, he began his freelance illustration career in Paris. He moved to London in 2000 and developed his illustrations for children. Since then he has worked exclusively on children's books. His beautiful rich style has won him many admirers and he is a popular and widely published artist.